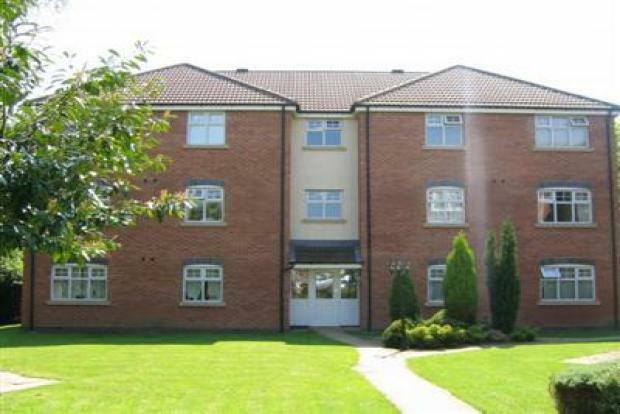 2 Bedroom Apartment To Rent in Derby for £635 per Calendar Month. Set back from Burton road this two bedroomed is brimming with luxury and is ideally situated for access to Rolls Royce, the hospital and Derby town centre. Accomodation briefly comprises of a large entrance hallway, a good size kitchen to the left with a range of wall and base units, built in fridge freezer, washer dryer and dishwasher. The living room adjacent to the kitchen is of great size laid with laminate flooring with views over the communal garden. A the end of the hallway is your large master bedroom complete with an en-suite with wall to wall fitted cupboards. Next to the master is your second bedroom (a double smaller bedroom). The family bathroom has a three piece white suite and shower over the bath. You will enjoy ample space and ample storage throughout the whole property. From each of the windows you see greenery rather than being over looked by anyone else. Residents enjoy use of the extensive private gardens and ample allocated parking.